Hey my names Donovan im new to this site. 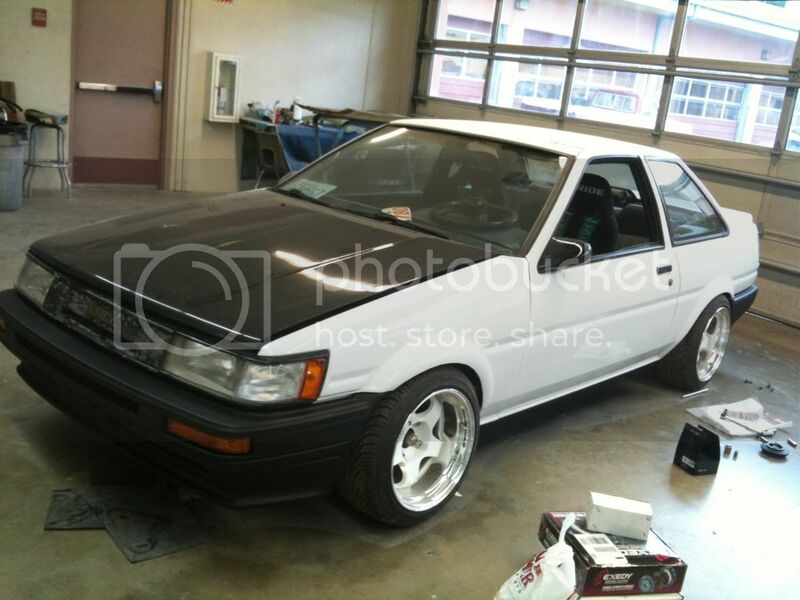 I own a AE86 levin coupe. ill post pics later. decided to sign up while i was at work. will post pics later. Last edited by donb87; 01/26/2013 at 03:47 PM. sick car are those wheels work meisters?? Thanks and yes they are work Meisters, but I'm selling them. You get sideways with it much? Any plans? Like a Gt4 rear end swap? No not with this car. Like I said. Just wanna enjoy the car for what it is. So hard to find parts for these. I'm gonna be starting to collect rare parts for her soon.